Apple came out with the updated Mac Mini this week which was exciting but the Chinese were sure to catch up on a cheaper alternative look alike clone of the same. 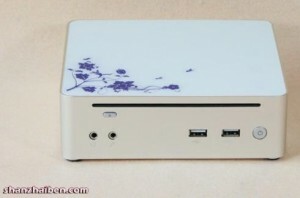 Mac Mini is no match to the Chinese clone experts who came out with the mac mini clone called Pandora Mac Mini. The Pandora mini Mac looks quite similar but don’t expect it to run as good as the Mac Mini itself! Under its neat design you won’t find the Core 2 Duo CPU or the OS X instead what you get is a 1.6GHz Intel Atom 330 dual core CPU, NVIDIA ION graphics, 1GB of RAM, 160GB hard drive, a DVD-RW drive, HDMI, and VGA output – pretty much scaled down from what one might expect. Typical of the Chinese clones to have scaled down configurations of their clones. Atleast thats one way to avoid any potential lawsuits. Don’t expect this model to be launched outside China anytime soon. Next Nokia set to launch a tablet later this year?